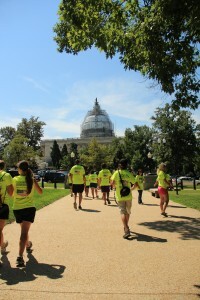 Today, Saturday, August 15, over 40 young people from colleges around the country, converged as their 3, simultaneous, cross-country walks across America, concluded in Washington, D.C. On Crossroads, they experienced firsthand the reality – supported by several recent polls, that a majority of Americans are pro-life. They encountered a warm welcome and outpouring of support as they passed through 36 states, thousands of towns and cities, and walked almost 10,000 miles, collectively, during the 12 week long walks. 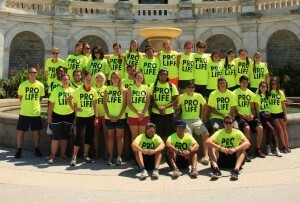 To mark the end of their journey, Crossroads held its annual Pro-Life rally at the US Capitol Building. The rally began at 12 noon, in Upper Senate Park, with keynote speaker, Jeanne Mancini, President of the March For Life. 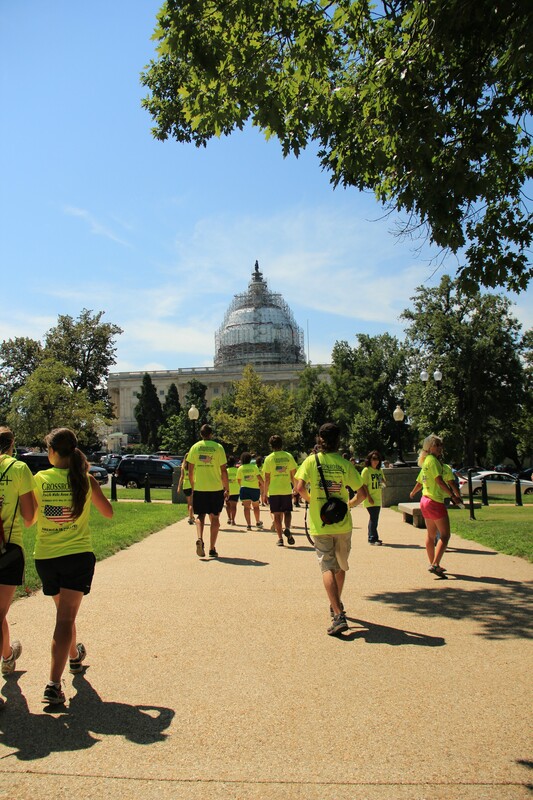 Since 1995, Crossroads has organized these 12 week long walks across America, from the West Coast to Washington, D.C., to actively take part in rebuilding the Culture of Life in the United States. During the journey, the volunteers wear t-shirts that say “PRO-LIFE” in bold letters on the front. The volunteers take an active role in the organization’s mission by speaking at churches and to various other groups. They also engage local communities through peaceful, prayerful protests and sidewalk counseling at abortion clinics in the cities they travel through.